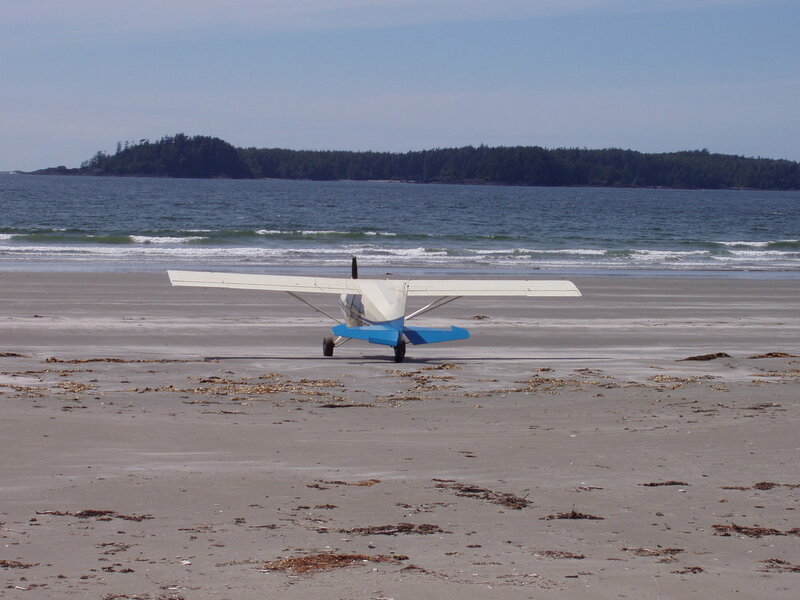 I've heard about good beach landings on the west coast of Vancouver. 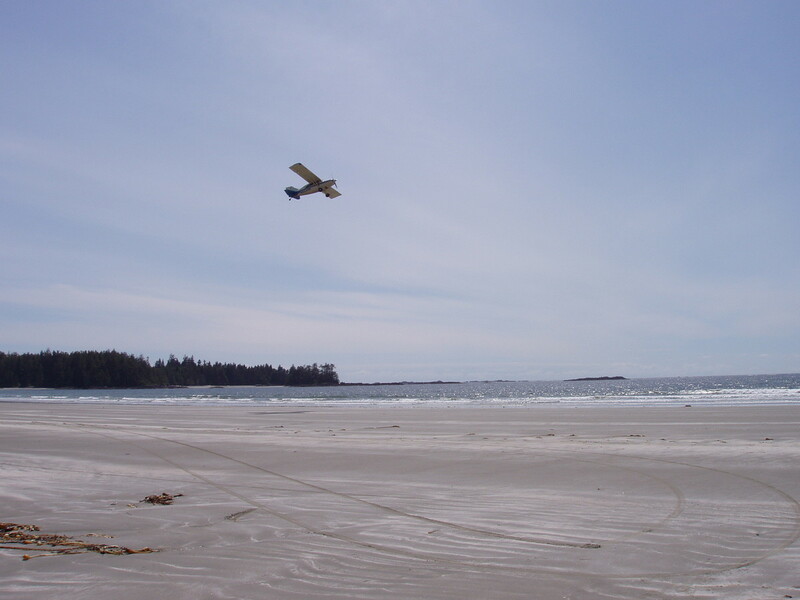 In fact, may of these beaches are places I would like to paddle to in my kayak. However, the complexities of flying into Canada have intimidated me. Everyone who has done this says it is easy while every one who has not fears some simple mistake culminating in their plane towed to an impound yard. 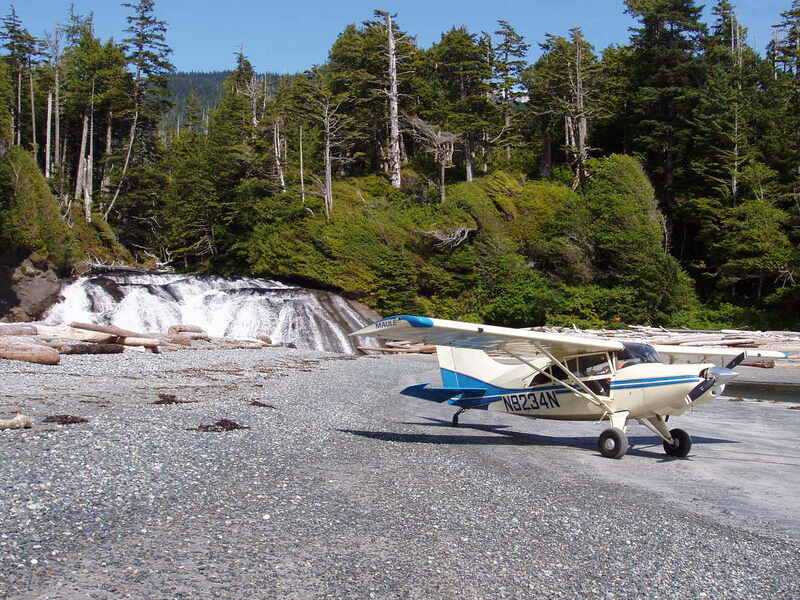 Fortunately for me, my airplane partner Richard is a pro, flying daily to Canada for Kenmore Air, and knows all the ins and outs of this complex, foreign system. 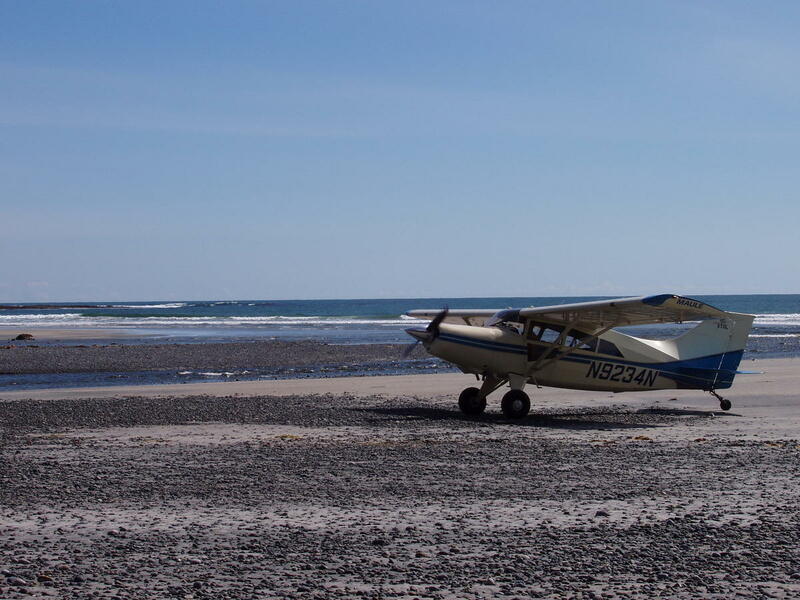 This is the (short) story of my first flight to Canada and the beaches of Vargas and Nookta. 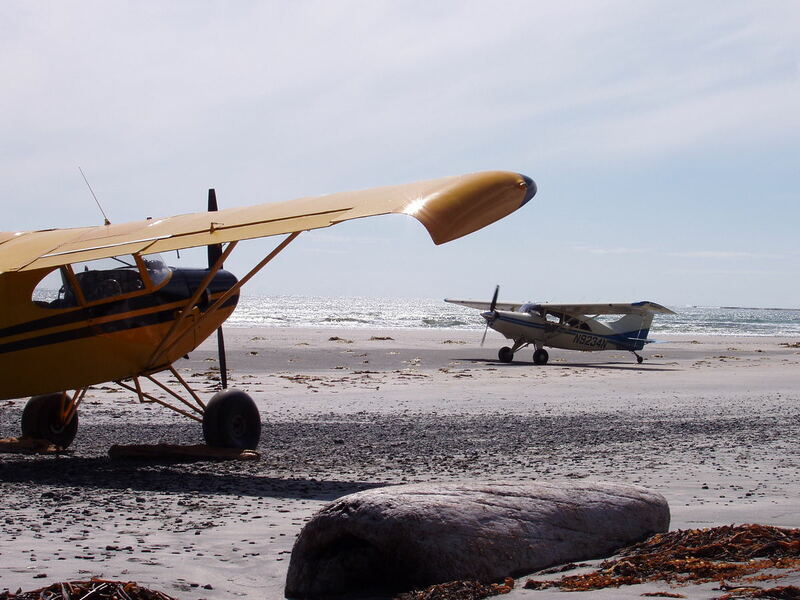 I won't include the details of working the Canadian system, they are gathered on a separate page, but will remind everyone that prior permission is required to land at Comox. 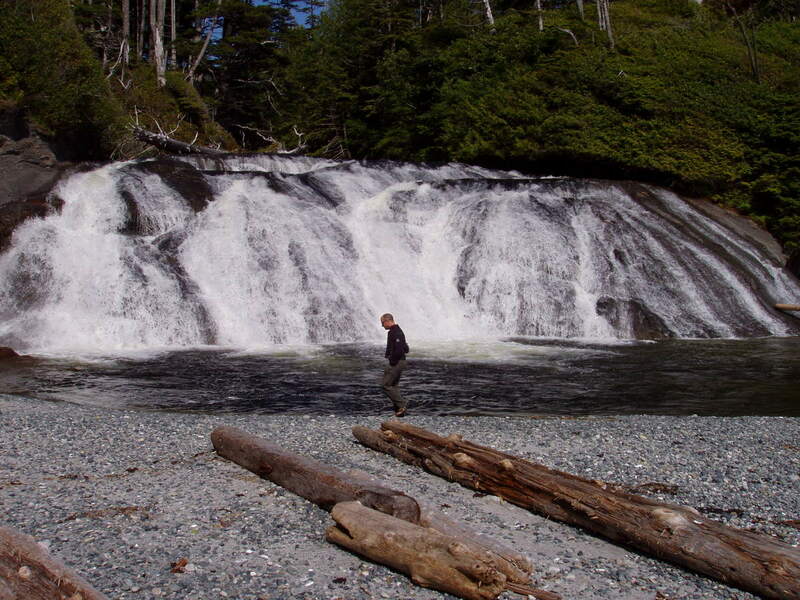 With those details left out, the interesting part starts as we arrive on the west coast at Port Renfrew. The first stretch of coast line is the Pacific Rim National Park and the famous trail along the coast. This is a very scenic coast line. 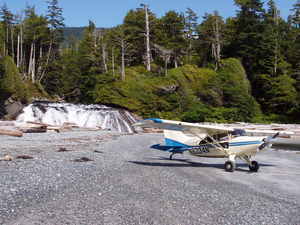 Probably better for walking than kayaking as it is mostly straight and rocky with few landing places. For kayakers the more interesting terrain starts at Barkley Sound with the Deer Group and the Broken Group. 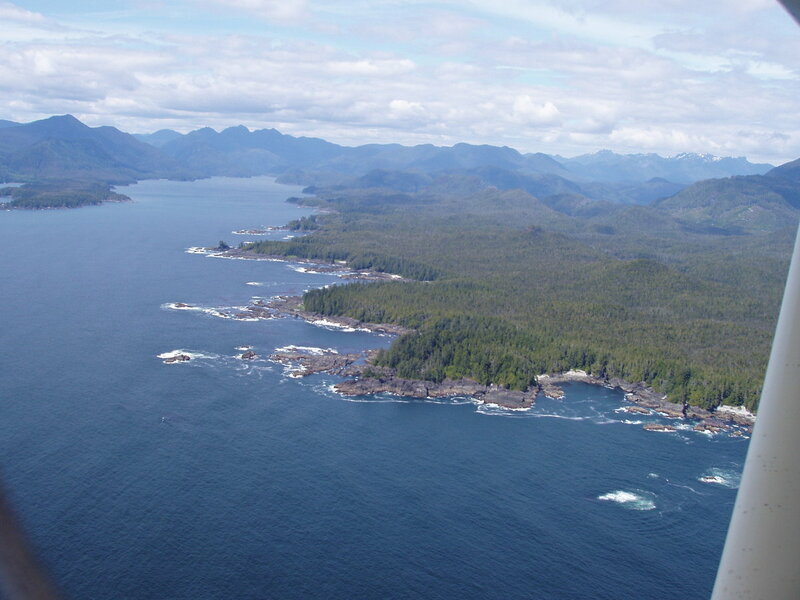 Outer islands of the Deer Group. 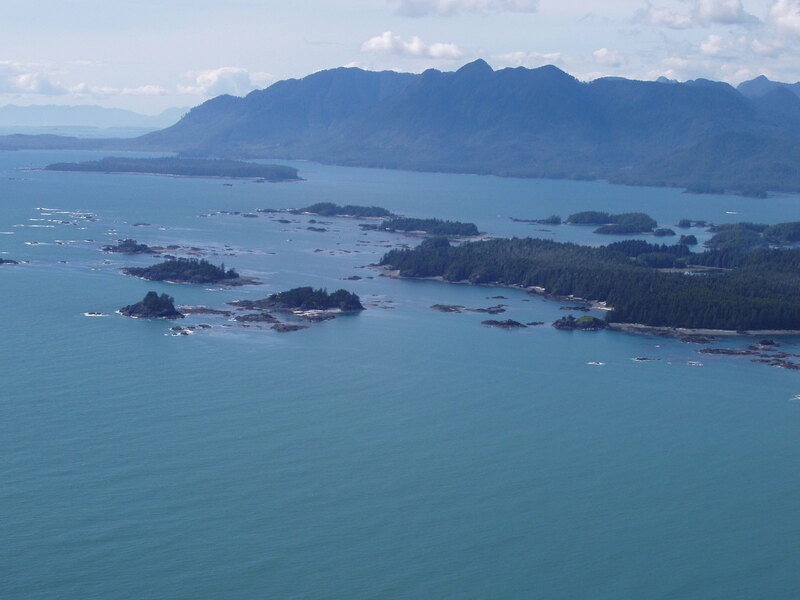 North of Tofino we come to Vargas island. 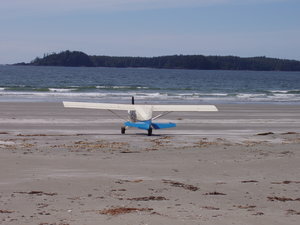 Being out side of parks it is open to beach landings. 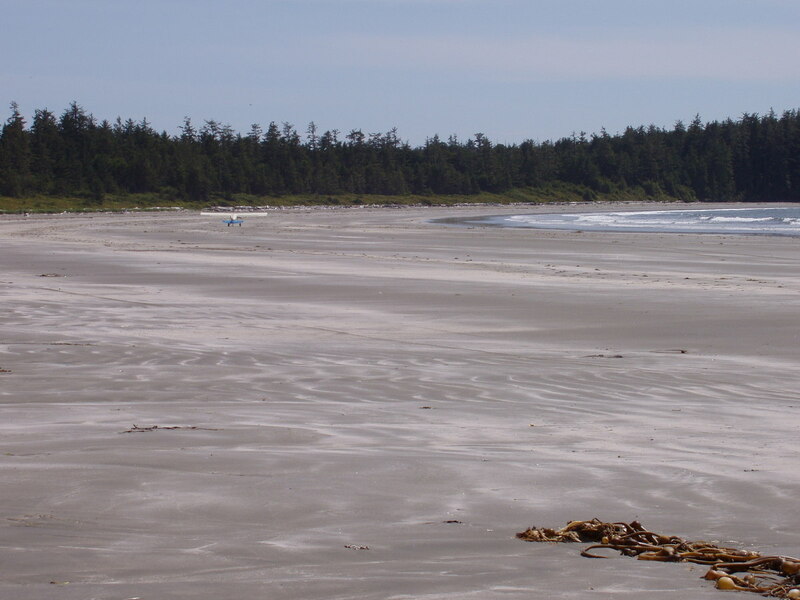 The beach is very long but gently curved so you can't use the whole length. 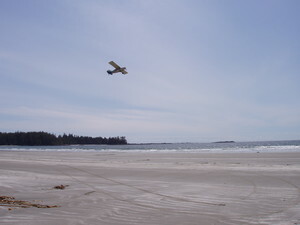 Still, there is plenty of beach for most airplanes to land here. The slope is very gentle and the sand very firm. The upper part of the beach tends to have more debree and bumps. The section commonly covered by tides is very flat. 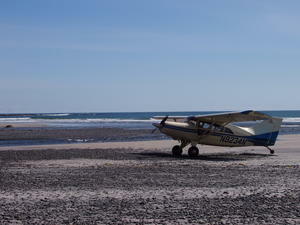 We saw signs that a couple other airplanes had landed recently. Richard getting ready for a circuit and landing just for fun. 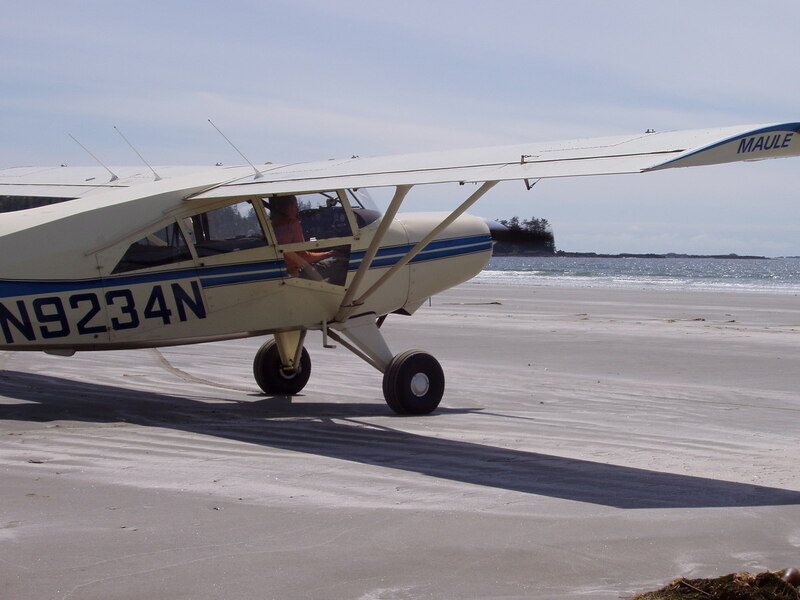 Taxing down the beach. This is mid-low tide. There does not seem to be much beach which would be above the highest tide. For overnight I would plan to come on a half moon or have local knowledge. I couldn't resist going swimming, though the water was fairly cold. 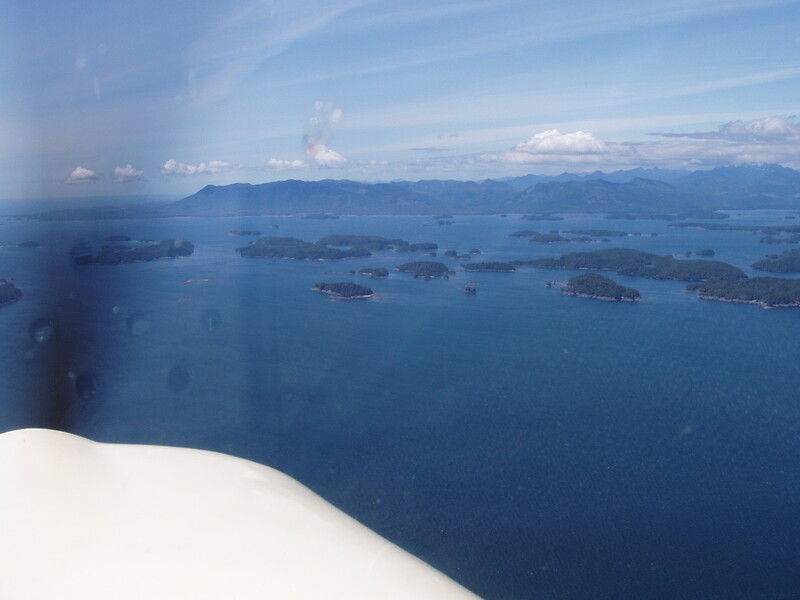 From there we flew north along the coast of Flores Island, Hot Spring Cove, Hesquiat Island until we came to Nookta island. The beach here was easy to spot. It is a little straighter but there is a puddle in the middle, reducing the amount of beach you have to work with. The northwest short of Flores island. This is typical of the coast line along here. Taxing pas a Pacer parked on the beach. The owners told us of a cabin at the north end of the beach available for use. Above the waterfall is a beautiful clear stream which looks like great swimming. 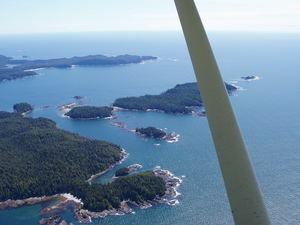 North of Nookta is Nuchaliz and Catala island, the start of a great kayak trip I did from here up to the Brooks Peninsula. From Nookta we crossed the island to Comox, err Courtenay, then on home. The flying over the coast line was some of the most scenic flying I've done.